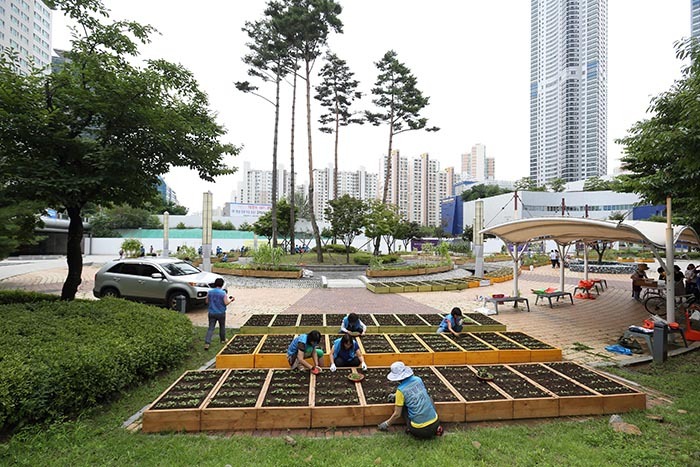 SEOUL, Sept. 14 (Korea Bizwire) — The number of urban farms and farmers is increasing, with many making use of idle garden space. According to Gyeonggi Province and Gyeonggi Agricultural Research and Extension Services, there were 552,000 people engaged in farming over 3.2 square kilometers of land in cities at the end of 2017. While farm size grew by 27.2 percent compared to three years ago, the number of farmers surged by 83.8 percent. The majority of urban farming was done in community spaces, such as weekend farms, which accounted for 47.9 percent of urban farms. Farming in parks followed at 33.4 percent, and then school farms at 8.5 percent. Other farms made up a smaller proportion, such as house gardens at 0.4 percent, tall building rooftops at 0.8 percent, and seniors centers at 5 percent. Among urban farmers, 41.8 percent took part in community farms, while 20 percent raised crops in parks and 16.1 percent at school farms. Urban agriculture is increasing in popularity, presumably because city dwellers are looking to harvest safer crops using their small patch of idle land. Some raise crops as part of a yearning for the rural lifestyle from where they come from, or to get a taste of a more pastoral life. In addition, more people are considering urban farming as a leisure pastime activity. Some local communities want to use farming as a method for citizens to hang out and build friendships. Central and local governments are also supporting urban agriculture. Gyeonggi Province aims to list all patches of land in 31 cities and counties in the province that are eligible for farming. The provincial government will also inspect the management of such farms so that it can nurture urban agriculture in a more planned and systematic manner. 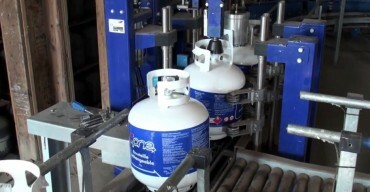 Gyeonggi Agricultural Research and Extension Services is developing programs to teach urban farmers about crops suitable for farming in cities as well as farming techniques. The 7th Korean Urban Agriculture Expo is being held in Hwaseong between September 13 and 20, jointly hosted by Gyeonggi Province, Hwaseong City, the Rural Development Administration and the Korea Forest Service.